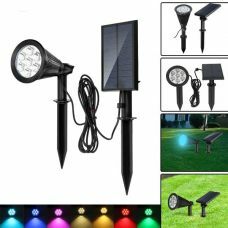 Outdoor waterproof 8 LED Solar Spot Light with PIR Motion Sensor & four lighting modes is a featured model in ARILUX Brand family. 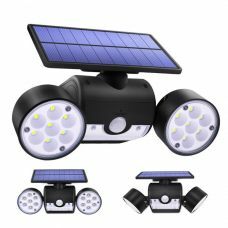 Powerful pre-installed Lithium Battery and Daylight Sensor delivers reliable long-term focused lighting and is ideal for lighting and highlighting areas and objects around the home, garden, garage, patio, balcony etc. 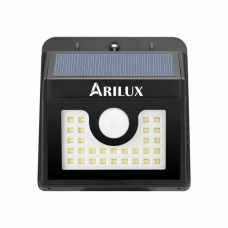 Outdoor 8 LED Solar Powered Spot Light with PIR Motion Sensor is an advanced lighting product of ARILUX® family with multiple features. 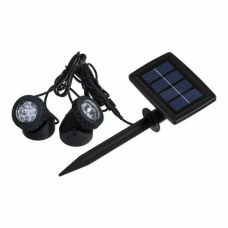 It is fully operated by solar energy with an efficient solar panel and powerful built-in 2600mAh rechargeable battery. The focused spot LED light is ideal for highlighting a particular zone or area that may require attention. The product designed for outdoor use with IP65 protection rating and does not require any additional electric wires or other sources of energy that. 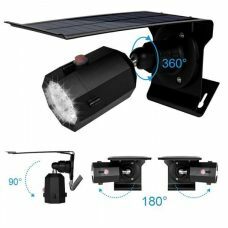 The Spotlight light has built-in automatic daylight sensor and also Smart Motion Sensor with pickup range up to 10m and 120 degrees. 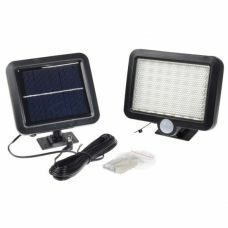 That combination allows running the product in various lighting modes including Quarter or Half Brightness On, energy-saving DIM (weak lighting) mode that allows starching the battery life through the night and Motion Sensor. It provides enough room and flexibility to customise the product the way it required. 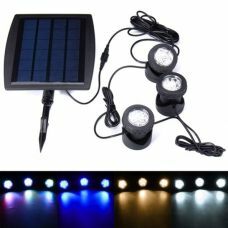 - 8 LED powered by Solar Panel and 2600mAh Lithium battery. - Adjustable angle of Solar Panel to increase sunlight exposure. - Four lighting modes including energy-saving DIM mode. - Fully automated operation process with the Special built-in light-control system for day/ night mode detection. 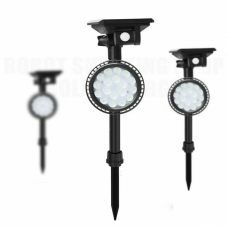 The product delivers reliable long-term lighting and is ideal for maintaining lighting around the house, garage, garden, aisles, porches, patios, balconies & verandas, side and backyard, entryway, driveway, path, fence etc. 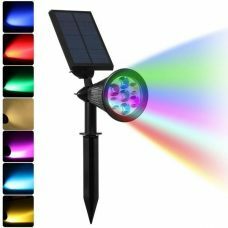 The item is especially effective when it comes to highlighting particular area or object including statues, trees, gates, walls or corners. 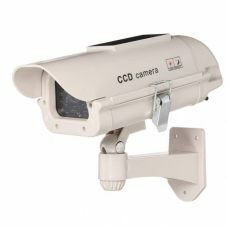 The light also could be used for industrial and business premises including for security purposes. 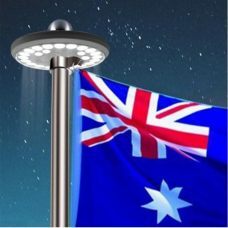 for someone who is looking for a smart and efficient way organise and maintain lighting around a property for a variety of purposes from convenience to security and protection. The product delivers nice white light, not blue! Do not need to change batteries, no damage from rain from cheap wires plugs and switches! This one is made proper for an exterior security light! Only features missing include: cannot adjust time light stays on or sensitivity when tripped by the motion detector. For the price it’s a great deal! 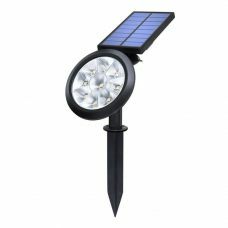 It is very functional and well-constructed solar spot light. A good option for me due to the size of a solar panel. 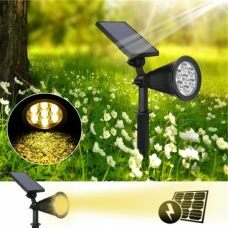 It is well-manufactured, the light is actually quite durable. Has nice focused light when it turns on with sensor. The battery holds the charge for at least 6 hours, have not checked what is going on afterwards. Was delivered nicely packed.